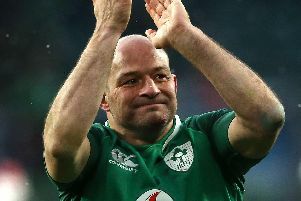 Rory Best will make a decision on his Ulster future later in the new season. The Ireland and Ulster captain is contracted up until the end of the 2019 World Cup and will have to decide whether he will retire completely from professional rugby or finish his career out with Ulster for the 2019-20 season and beyond. However, the talismanic player has said he will not leave it to the 11th hour to make a decision. .” It’ll not be something that I’ll leave until the last minute because if it is my last season, the club means too much to me to do something in the 11th hour and say ‘that’s it for me’ and leave the club no time to replace me. "I think we’re at the stage now where I’m contracted to the end of the World Cup and a big focus of mine is going to be getting back, getting fit, getting rid of the injuries and the niggles, and focusing on this part of the season with Ulster and then the autumn internationals and then we’ll maybe sit down and have a look at it. "I’ll have played PRO14, I’ll have played Europe and I’ll have played international so we’ll see how the body is holding up. If it’s another 12 months, 16 or 18 months and we’ll make a decision then, and that’s obviously even if there is anything offered post World Cup, if we want it. It’s just a case at this stage"
The 36-year-old added: " I’m really enjoying the pre-season and Im excited for what this Ulster team can do. Bryn touched on it, everyone wants to win trophies but for us, the way we finished last year, under the pressure we were under, and with the number of changes from week to week, a lot of it was about attitude. How we prepared, we have to take those learnings. "Where I’ll end up afterwards, we’ll wait and see."